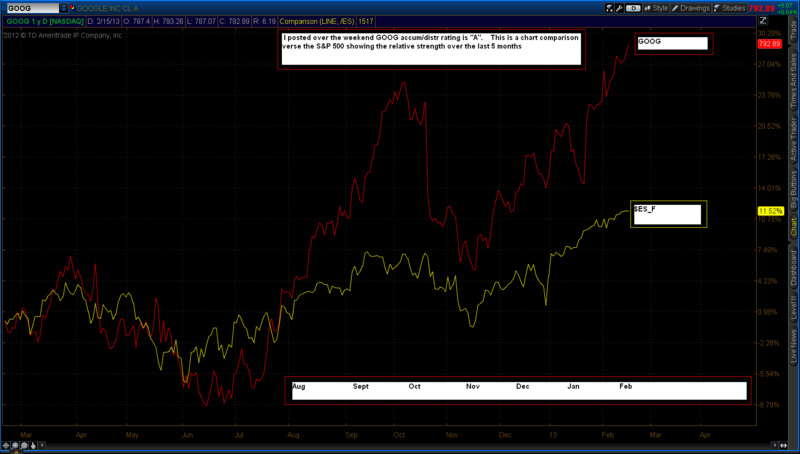 Are you considering long GOOG or is it too overextended I have reviewed latest chart. Looks strong. I am already long GOOG (posted last week). If I see another bullish consolidation pattern above this recent breakout, I will add to this position.